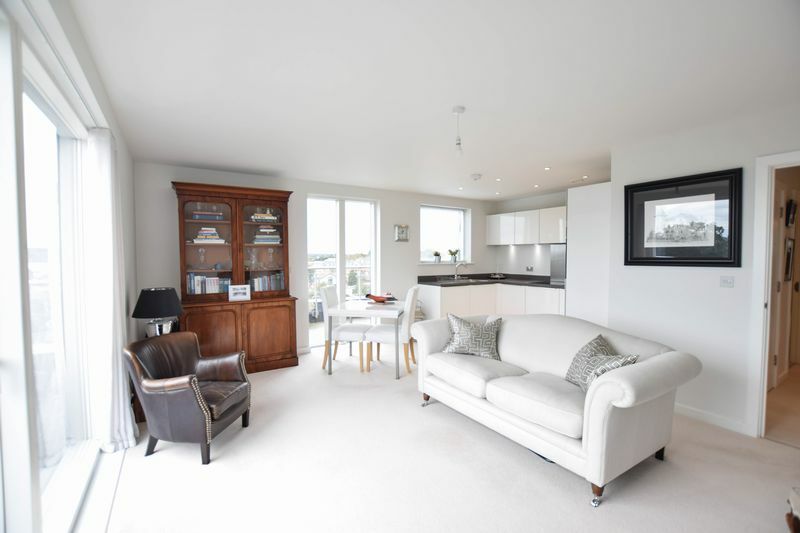 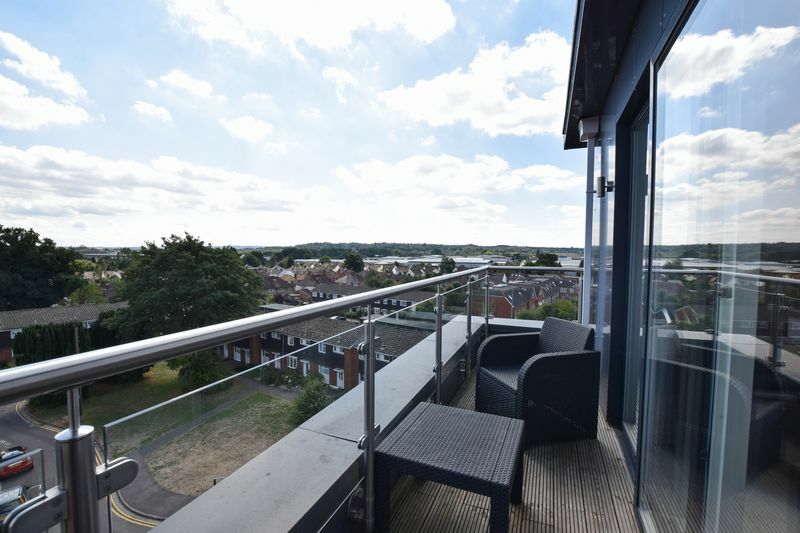 Ludemans are delighted to offer to the market this truly stunning two bedroom penthouse apartment situated in Camberley a short distance from the town centre. 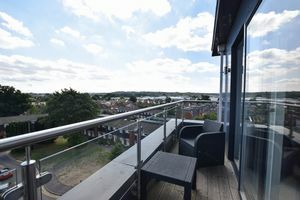 Set within a gated development the property enjoys panoramic views from both of its sun terraces which are southerly and westerly facing. 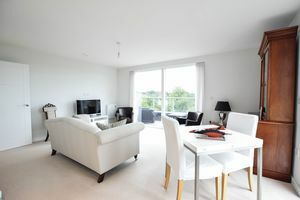 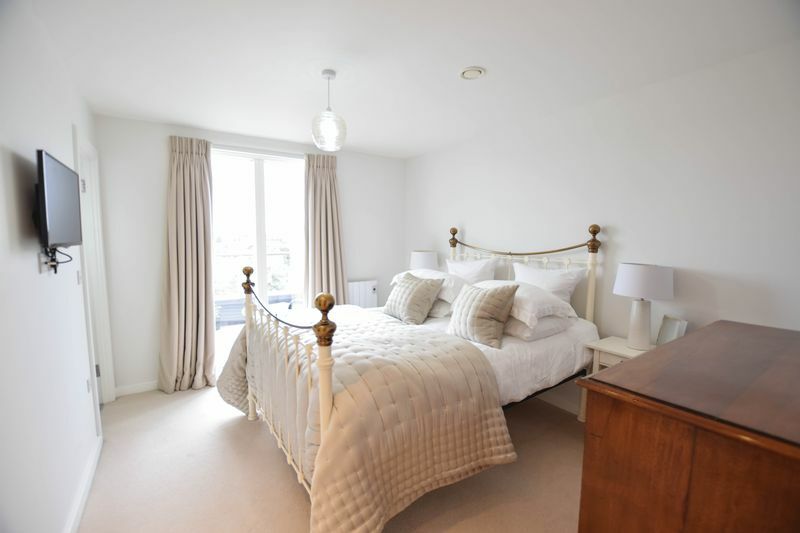 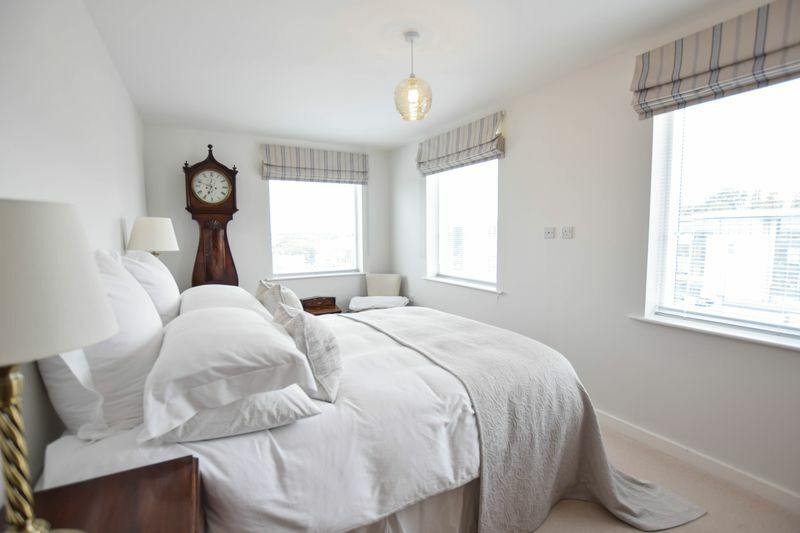 Accommodation comprises a bright and airy, open plan living/kitchen area with access to both terraces, two double bedrooms with the master having a luxury fitted en-suite shower room, a spacious hallway and family bathroom. 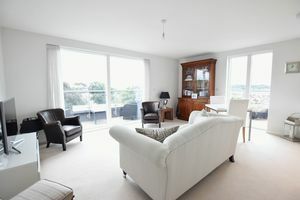 Duel aspect doors leading to both sun terraces, wall mounted electric heater and T.V point. 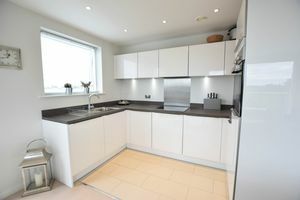 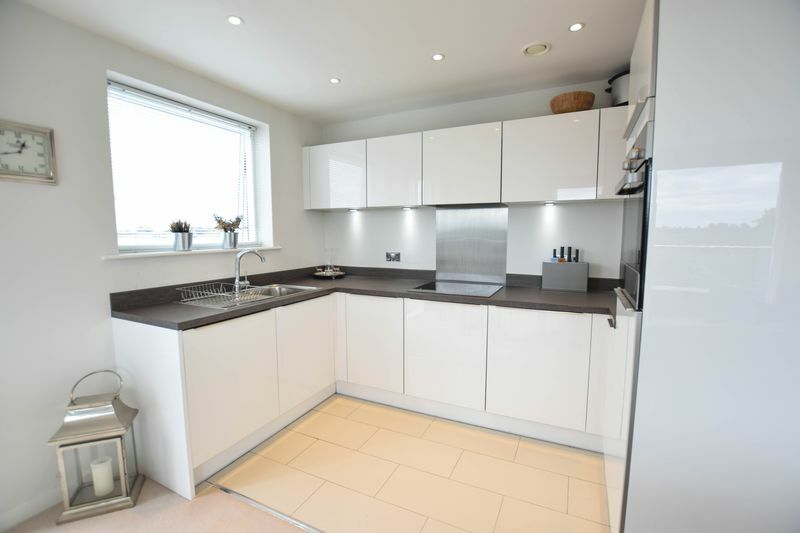 Open plan to kitchen with white high gloss units, stainless steel sink and drainer with mixer tap, high specification integral appliances, under lighting, double glazed window and tiled flooring. 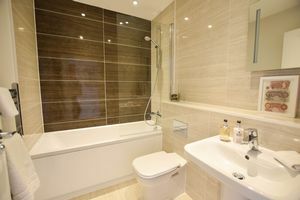 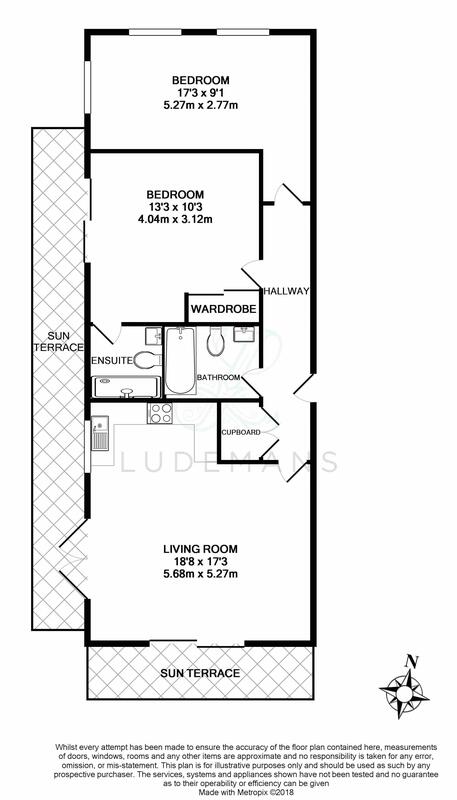 Window, three piece luxury suite comprising double length shower cubicle, low level W.C and pedestal wash hand basin. 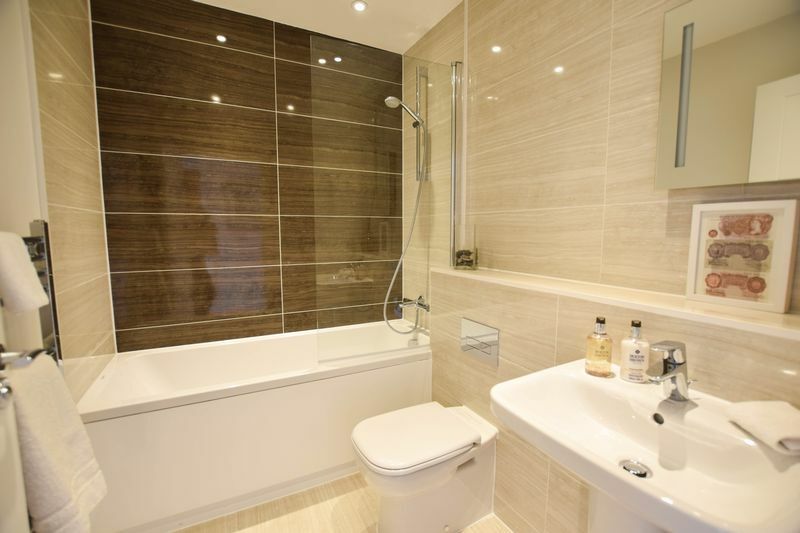 Fully tiled, heated towel rail, extractor. 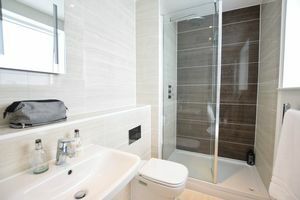 Duel aspect windows, wall mounted electric heater, T.V point. 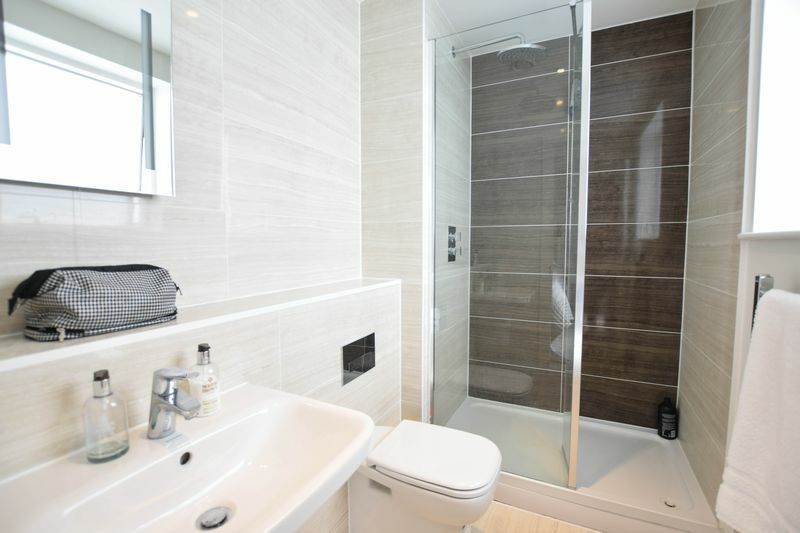 Three piece luxury suite comprising panel enclosed bath with mixer tap and shower attachment, low level W.C., pedestal wash hand basin, heated towel rail, extractor, part tiled walls and floor. 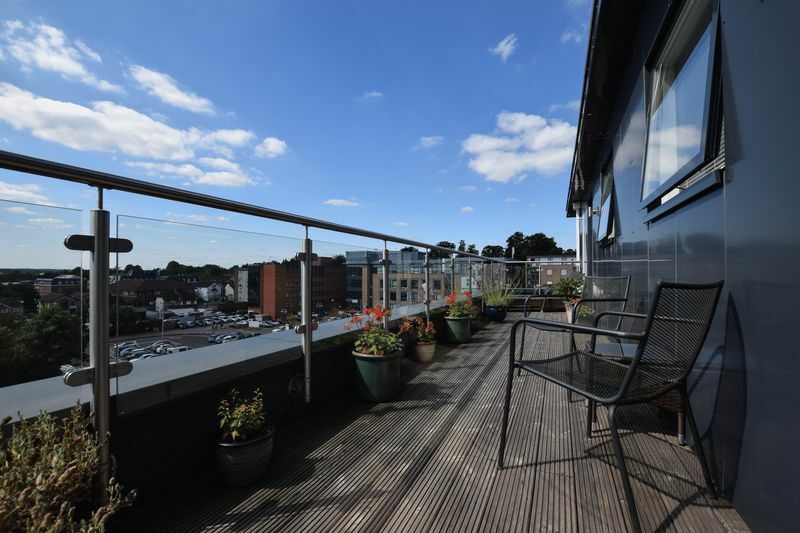 Camberley is a lively town with a lot to offer. The Mall and Atrium are packed with shops, restaurants and cafes. Other entertainment include a multi screen cinema, bowling alley and children's indoor play centre. There is a leisure centre with a swimming pool and gym and there is a number of parks spread amongst the town. 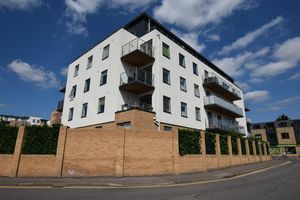 For the commuter, the M3 and A30 provide routes to London and Camberley train station provides routes to Guildford and London Waterloo.